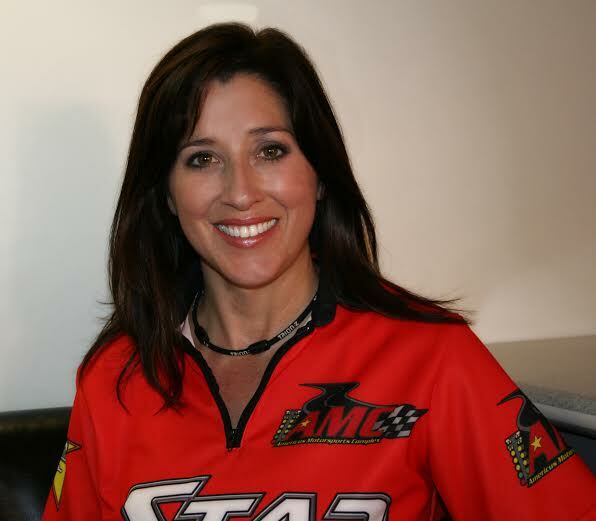 At a ground shaking press conference in Charlotte, Star Racing announced that Angelle will return to Star Racing for the entire 2015 Star Racing 35th Anniversary season as well as a few races in 2014. High Performance Lubricants, a producer of high quality oil products based in Manteno, IL, has stepped up to the plate to serve as Angelle’s primary sponsor for the NHRA Pro Stock Motorcycle events in Dallas (Sept. 19-21), St. Louis (Sept. 26-28) and Reading (Oct. 3-5). 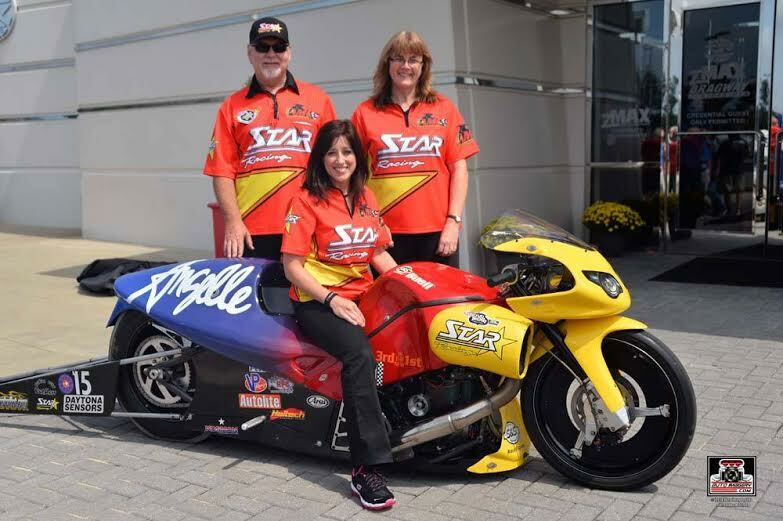 Angelle will once again bring her world class talent to one of the most prolific NHRA Pro Stock Motorcycle teams in NHRA History. Since Saturday’s press conference at ZMax Dragway and NHRA posting the press release on their Facebook page announcing Angelle’s return there have been over 13,000 likes, 1000 comments and almost 2,000 shares adding to the media frenzy of her return. George Bryce, Jackie Bryce and Angelle Sampey-Drago reunite. Angelle will be seeking her 42nd career win in Dallas that would bring her one step closer to Dave Shultz’s class record of 45 wins. The Louisiana native understands the expectations but doesn’t feel the pressure to win immediately.